Today’s the day I removed all the feeders from my hives. 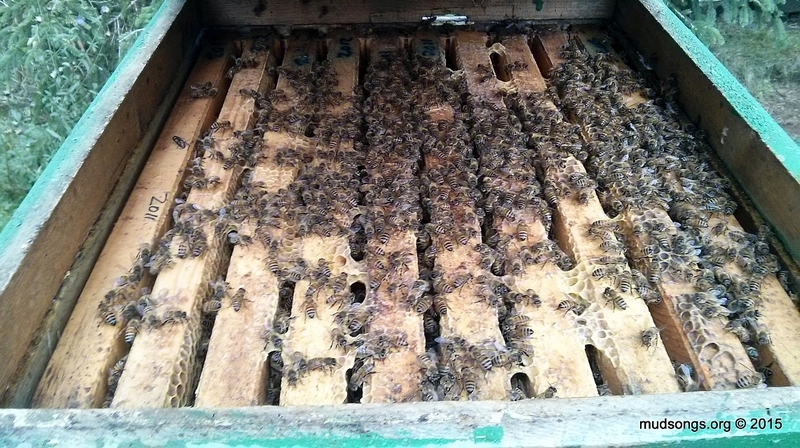 I placed a hive top feeder over a rim on one of my hives about a month ago. 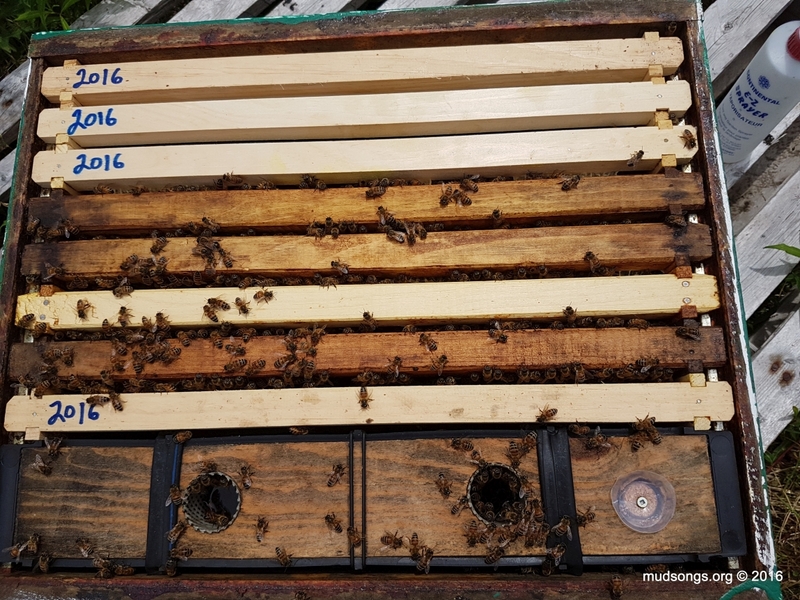 I removed the feeder today and found burr comb built up over the top bars, the bees filling in the space I created with the rim. My best guess is the bees ran out of room for the syrup, so they began building comb above the top bars so they could fill it with syrup. NOTE TO SELF: Remove insulated inner covers by the end of March. April is way too late. So is April 16th. 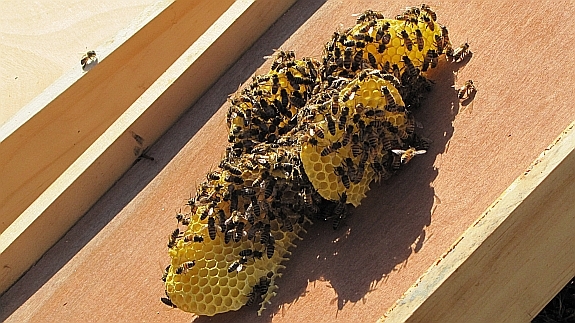 That’s about 3 inches of burr comb under the insulated inner cover (flipped upside down) — several large mounds of comb. It wouldn’t have been as bad if we’d removed the deep rim a couple weeks ago, but we didn’t, so it’s bad. Lesson learned.